✔ Mp3 player and other USB supported devices. 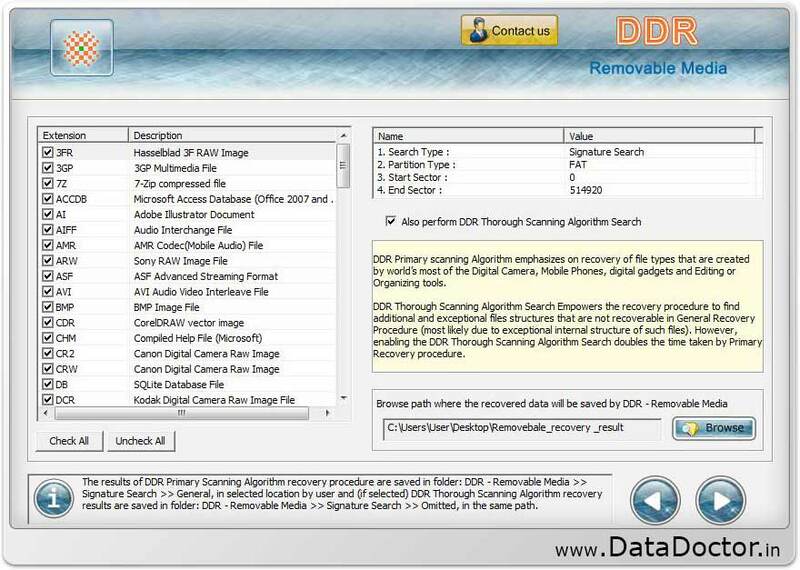 ◉ Restores any type of media files including photo gallery, music, mp3 files, video shoots. ◉ Get data back from all type of removal media compact flash memory cards including Thumb drive, Memory card and other USB supported device. ◉ Recovers data even when ‘Drive not formatted’ error message is displayed. ◉ Retrieves corrupted files and folders damaged due to human error or any virus generated data loss. ◉ Restore lost data, recover formatted or damaged files before you fix and repair your corrupted storage device.